I am one week out to my back to back half marathons. At the same time I am suppose to be starting my healing of this adrenal fatigue and thyroid condition. Rule #1 = Take it Easy. That being said, I only went to personal training once this week. I took Monday & Friday as rest days, and I did water relaxing water aerobics. For me, this has been taking it easy. I have always been horrible at tapering pre-half marathon. I’m like oh well I’ll only do 4-6 miles every night and do personal training twice this week, that’s tapering. This has kind of forced me to relax before the race days. I know I am conditioned to do and I will do it, the problem is I wanna move! I will continue to respect that taper . Drink water and have as many zen moments so my adrenals, cortisol, hormones, thyroid, etc can all get harmonious together. 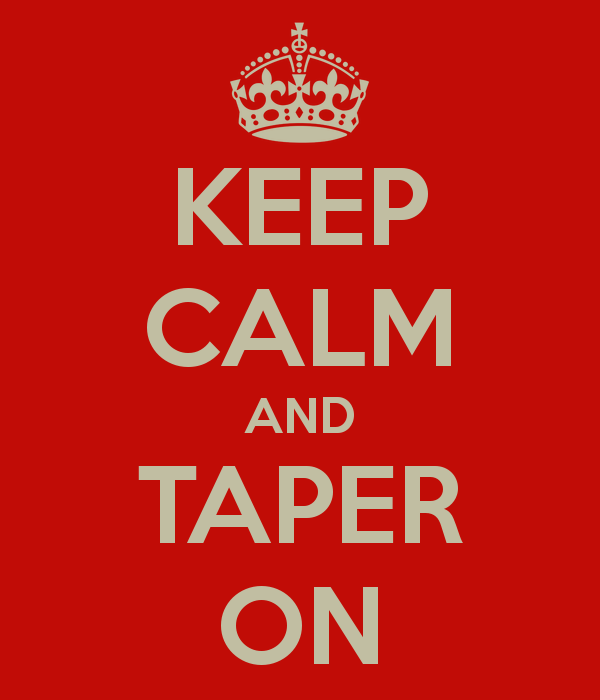 Do you believe in tapering prior to a race?